Bloggers On Tour. Caviar, Ceramics, and Cat Bodacious! Caviar, Ceramics, and Cat Bodacious! 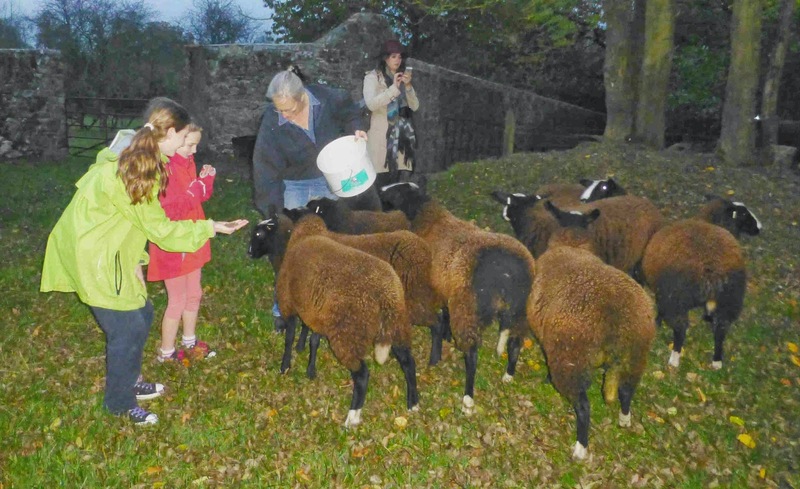 From Rainbow trout to Zwartble sheep, from ceramics to cheese, the Town of Food bloggers tour had a busy and every interesting day in the Thomastown area last Monday. The first get together of the day was at Goatsbridge Trout Farm . Mag and Ger Kirwan were our hosts. After coffee and cake, we headed down to the adjacent farm where some kids and adults were already fishing from one of the ponds. The trout farm was started by Ger’s parents, Padraig and Rita, in 1961. 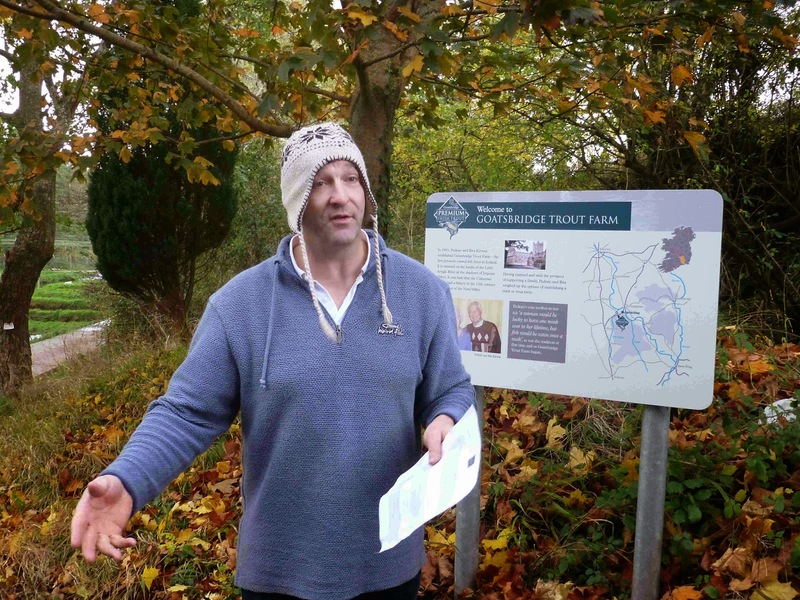 Padraig's father was a miller in the area and the fish tradition goes back a long way, at least back to the monks of nearby Jerpoint Abbey, who established a fishery in the 12th century. 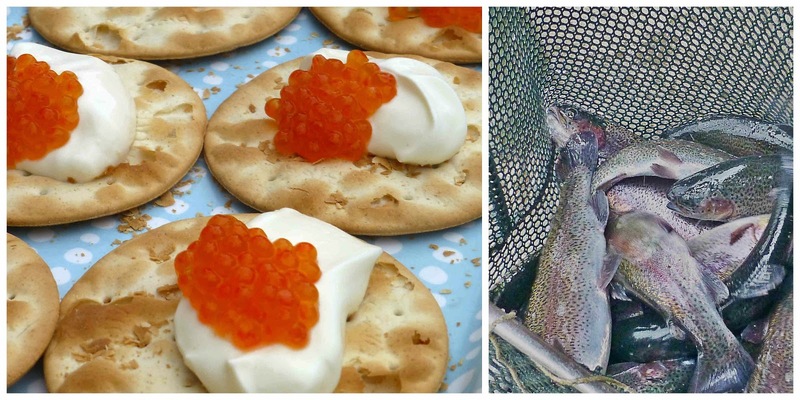 Trout hauled out for a quick look and the fabulous caviar. These Cistercians would not recognise today's Goatsbridge. The Fish Farm employs twenty people. Virtually all the fish is sold in Ireland, about 10,000 a week! Each of the holding ponds, maybe 100 square meters, holds no less than 12,000 of the trout (all rainbow, by the way). Goatsbridge trout is sold fresh, smoked and barbecued. And there is also a paté.Their latest venture - a very delicious one indeed, and one that you can taste in many of the country’s restaurants - is trout caviar. The idea came after a chance meeting in Boston with someone who was doing it in the US. It took Goatsbridge another few years to develop it for their conditions and they married the US practice with the French way and have perfected it since. Well worth seeking out! Why not try their online shop. From ceramics to glass, Jerpoint Glass the next stop. This was founded by Keith and Kathleen Leadbetter in existing farm buildings some 35 years ago and the boost they needed to get off the ground came when the Kilkenny Design Centre backed them. I have always loved the way they use the single colour. 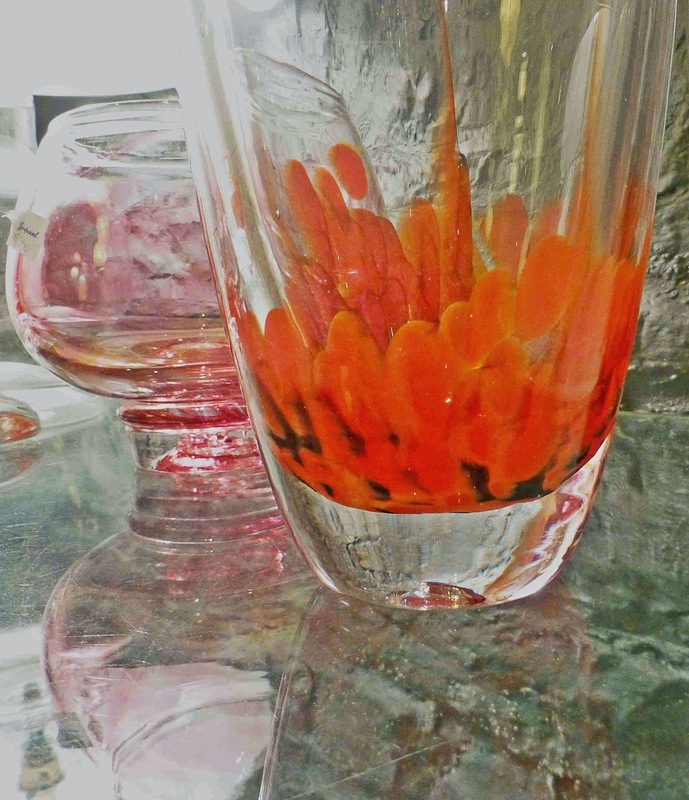 It looks delicate enough but this glass is tough stuff, largely because it is finished by hand. Mainly they make tableware that is meant to be used. Functional and aesthetic! Then it was over the road to Stoneyford to meet Helen Finnegan who has been making Knockdrinna Cheese here for the past ten years. “We’ve had some difficult times but are moving well now.” She started making goats cheese in the back kitchen. In more recent times she went into sheep cheese and even more recently started making cheese from cows milk for the Little Milk Company, a small group of local organic farmers. I love the Brewers Gold from this later venture and bought some of that! Helen also gives Cheesemaking Courses, so watch out for those. 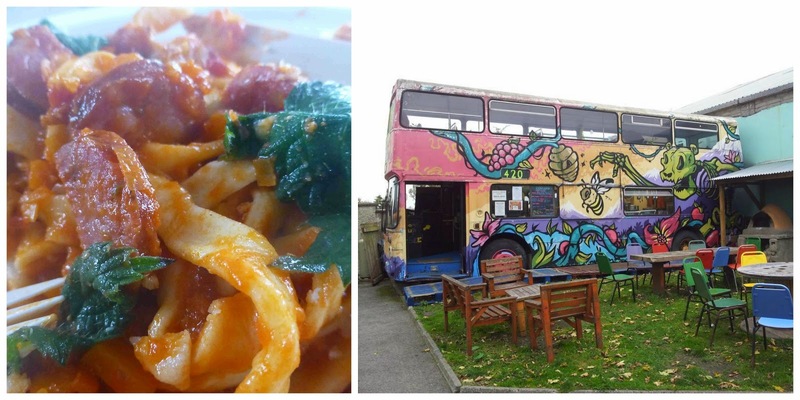 There is also a little cafe at Knockdrinna but our lunch date was back in Thomastown at the Cafe Sol Bistro. Knockdrinna cheese is on the menu here too and lots of other good local produce including Goatsbridge trout. 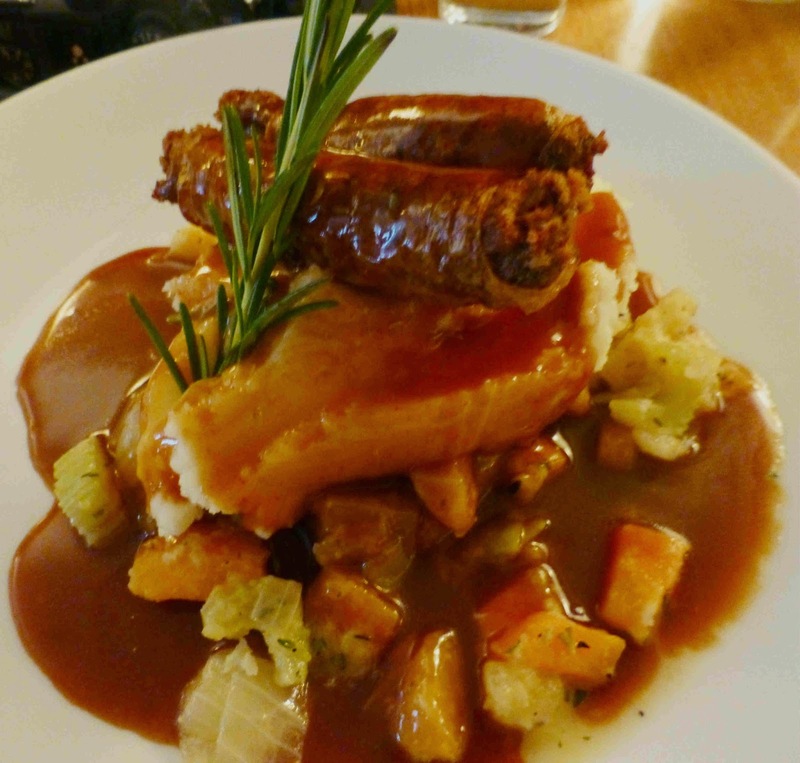 I went for the hearty Lavistown Sausages with creamy potato, root vegetables and a flavoursome thyme gravy. Well worth a lunch or dinner call if you're passing on the road to Waterford. If not, make a detour! And, by the way, they also have a cafe in Kilkenny itself. After a call to see the Town of Food development in Thomastown, we headed to the Zwartbles farm to see Suzanna (a blanket designing shepherd!) and her unusual sheep and their cat shepherd Bodacious! She, Suzanna that is, is a Slow Food advocate and the philosophy runs through to what she does here: What you put in is what you get out. And good things go into her Zwartble sheep. “They have a great variety of grasses and herbs and are finished off on clover and windfall apples.” Lucky sheep and lucky the customers that get the meat. It was a pity that darkness was setting in as we arrived. I didn’t get good pics but if you want to see the sheep at their best then check the site above! We got the brightest of welcomes from the lady and her happy bouncy sheep. By the way, it is not just the meat that is in demand (you'll soon be able to get it locally at Pembroke House restaurant in Kilkenny) but also the wool, available to buy as rugs and blankets in places such as Jerpoint Glass. We brought our bags to the orchards and filled them with pears and apples, including the Catillac pear and the Newtown Wonder apples. We even got a taste of her outdoor grapes and also got to see her alpacas who help protect the sheep by scaring off dogs and foxes. A lovely chat then and a welcome cup of tea. And even a going away present of some lamb chops. A warm feeling then at the end of a packed day as we headed into the darkness and the road to Cork. Thanks to Kilkenny in general, to all the food producers and providers and to all the craft people that we met and to Mag Kirwan and to Dee Sewell in particular for organising. Kilkenny on Parade. A Festival to Savour. Kilkenny's Night of a Thousand Feasts. 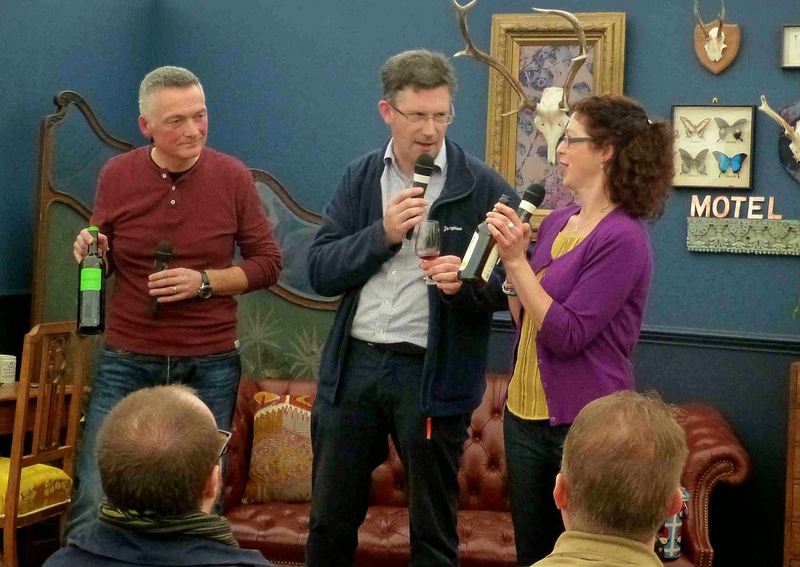 Kilkenny’s Night of a 1000 Feasts. Hazel, top left, with just some of her guests at the Feast. On Sunday evening we left our lovely base at Rosquil House to head to our Feast, part of the Night of a 1000 Feasts in Kilkenny. Our Feast, one of about two thousand registered as it turned out, was quite close and at about 7.00pm we were warmly greeted by Hazel and three generations of her family, all celebrating the 76th birthday of her father. Hazel is a fabulous cook and really loves to bake and the tables were groaning under the weight of a very colourful and tasty feast. The conversation flowed, not least because there were some relations home from Canada. We had a lovely evening with the family and a big thank you to Hazel and husband Richard. The 1000 Feasts project, while obviously having a huge social element, was also designed as a fund-raiser towards the Town of Food Project. This is a huge Leader funded project that is located in Thomastown but the local people had to raise some €180,000 themselves. It was down to about €25,000 before the weekend and hopefully a good bit less at this stage. Read all about the project here. 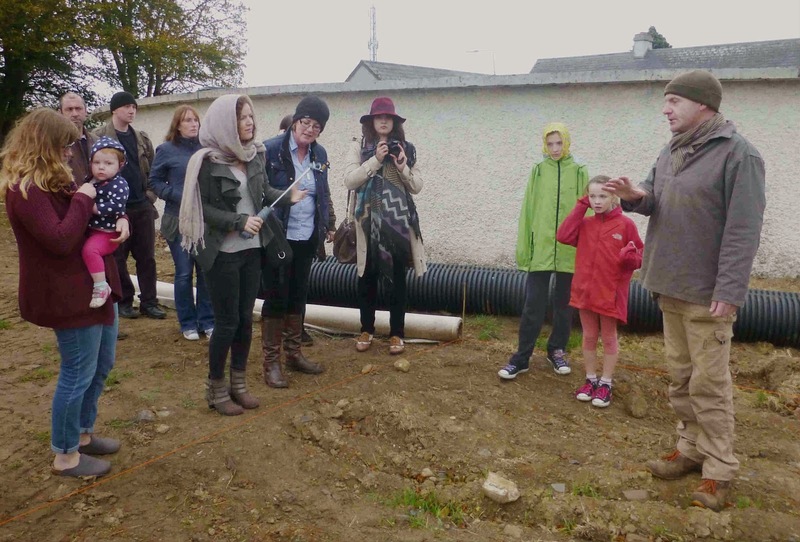 Our group were brought to see the project on Monday afternoon and met Francis Nesbitt, the co-ordinator. He told us it is based in the old school (built 1947) and that the builders had been in since mid-July and will finish in about six weeks. There will of course be all kinds of cooking courses going on here but don't run away with the idea that this will be for amateurs only. Thomastown won this project in a competition with other towns so there will be some serious education going on here, including chef training. “We want motivated people here….We want to create a pipeline of kitchen-ready chefs..their learning will be one half here, the other half in restaurants.” This is a fantastic project and the few paragraphs above only give you a hint of what's in store. Please check it out on the website. Francis (left) meets the Town of Food bloggers. The day of a “1000 Feasts” began for me with a bloggers meet-up at the main gate of the castle. 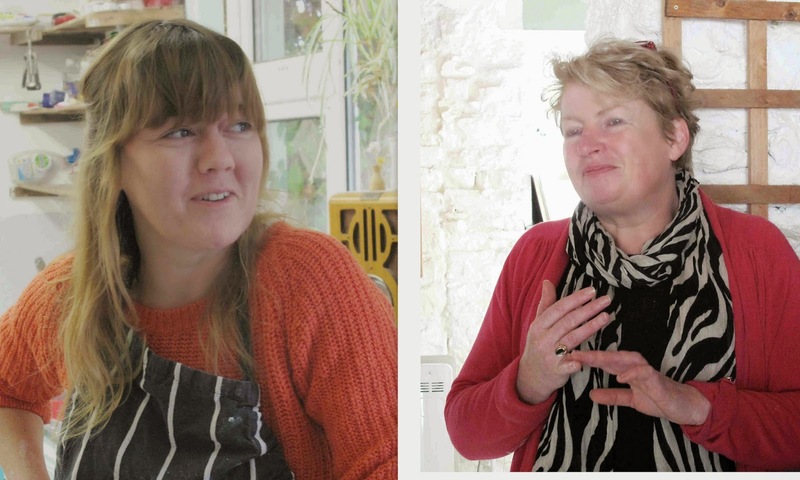 After the introductions, we made our way to the National Craft Gallery, the venue for one of Jim Carroll’s Banter on Food series, this episode entitled War Stories from the Kitchen. Pichet’s Denise was among the panelists and she said you have to be a little bit crazy and one hundred per cent passionate to open your doors to public scrutiny. John Healy agreed that the industry is “addictive”. One big danger is that people go into it for the love of food and with no idea about the business side. Overall though the panel agreed that standard has “gone away up” over the last ten to fifteen years. Carroll then steered the discussion, mentioning Anthony Bourdain’s rather ancient book Kitchen Confidential, to the war in the kitchen! But no big news there really. Yes, flare-ups are inevitable and management has to be ready for it, “people skills required”. By now it was time for lunch so the group (about 14 strong) headed off to the Podge Meade’s Bula Bus, a former unit of the fleet in Manchester city but now parked up at the back of Billy Byrne’s pub. The kitchen is downstairs and the upper deck is laid out as a restaurant, serving wild and foraged street food. 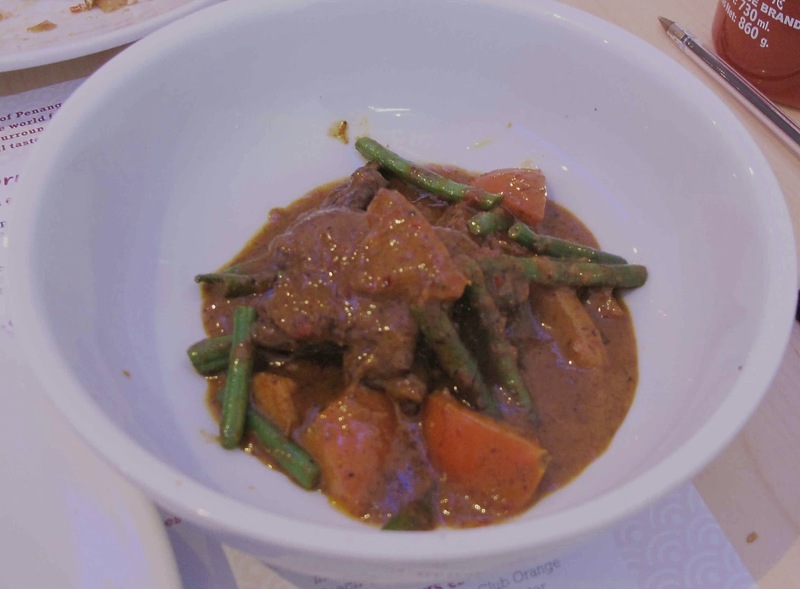 Venison, mushroom and rabbit (which I enjoyed) featured on the menu last Sunday. We had some time to ourselves after lunch and I headed back around the many market stalls on the Parade and enjoyed a glass of Costello’s Red Ale in company with Colm McCann and Pascal Rossignol who had just finished their second Wine v Beer show, a show that also featured Caroline Hennessy. We would meet Gabriella of Costello’s again in our last group engagement here. This was in the Leader tent where we chatted with some emerging producers including Eadaoin's Kitchen, Bob and Joan’s Jams, Butterfly Valley (Cookie Mixes), Richie O’Brien (Honey) and Inistioge Food (Marinades). Our bag included some of those marinades and we’re looking forward to trying them soon, so watch this space! The Bloggers On Thomastown Tour. Caviar, Ceramics, and Cat Bodacious! It was fish all the way at Fleming’s last weekend with chef/patron Michael Fleming displaying his renowned skills and, in the process, treating us to everything from the humble periwinkle to the noble salmon. Needless to say, all were cooked to perfection and the presentation was immaculate. Besides, I know I’ve said this before about this long established venue, the sauces are excellent here, illustrated once again with the smoked salmon dish. A lively prosecco was our welcome drink and soon we were at our table, reading over the menu for the Seafood Evening, the anticipation growing as we awaited the first course. And we weren't let down as the Seafood Platter on Ice arrived. The top of the two tiers was packed with seaweed and ice. Periwinkles were scattered around and there too were oysters, crab claws, and prawn cocktails. Great to look at it, even better to eat, especially with the beautiful dips provided. And that wasn't the end of the two part starter as next up was a bowl of perfectly fresh Moules a la crème. All dispatched with a glass of Trimbach’s Riesling trocken. Oh my, what a delicious opening. 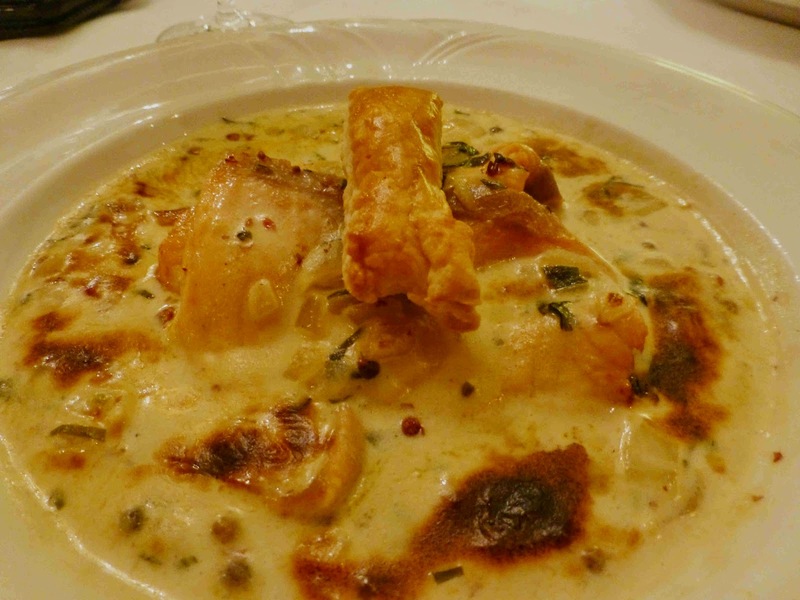 And then came the Saumon Fumé: Oak Smoked Salmon glazed in a pink peppercorn sauce with white wine and tarragon. Roll out the superlatives here. Maybe I’ll just settle for great. And that sauce! 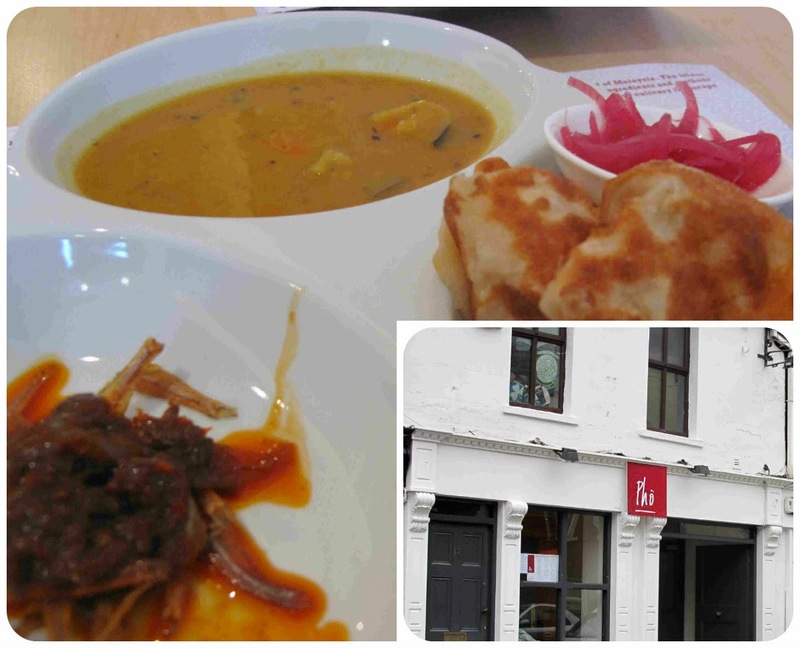 The whole combination was brilliant, a kind of dish I haven't come across anywhere else. Delightful. And now for the main event: Brochette de fruits de Mer. 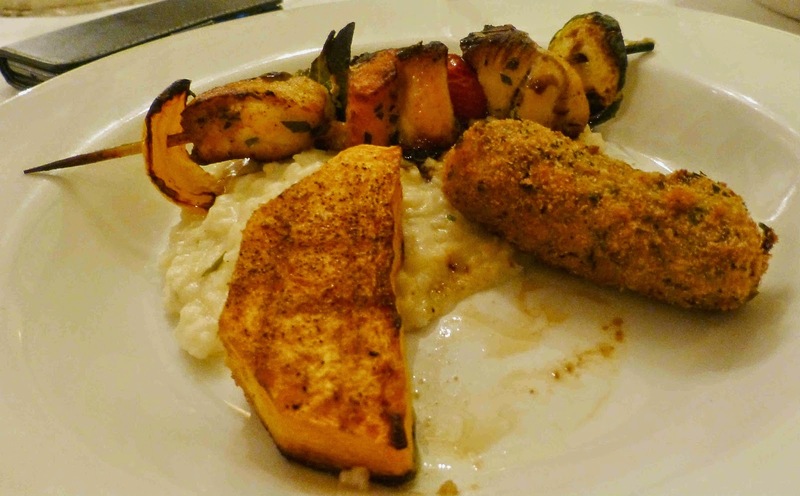 No less than four fish in this one: Seafood brochette with risotto - a brochette of monkfish, sea bass, salmon, a beignet of hake, all served with risotto and grilled butternut squash. The three fish on the stick were superb, I really loved the seabass, but the hake was out of this world, fish perfection. What a dish and we had a lovely Marlborough Sauvignon Blanc to go with it. 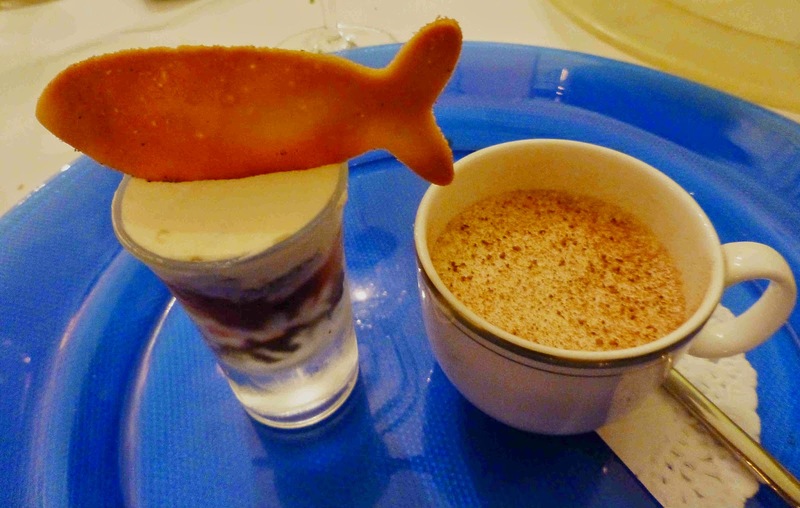 No real fish with the two part dessert though the deeply gorgeous Dark Chocolate and Berry Tiramisu was decorated with a biscuity “Goldie Fish”. The other part, White chocolate and Cardamom mousse, was also heavenly, though on a lighter note. A perfect combination to finish a lovely evening on. Not alone is the food superb here; so too is the service, friendly and efficient, and you leave promising yourself to come back soon. Fleming’s Silver Grange House is a historic Georgian house and restaurant, built by one of the prominent merchant princes of Cork, a local wine importer. Read all about it here. Kilkenny on Parade! 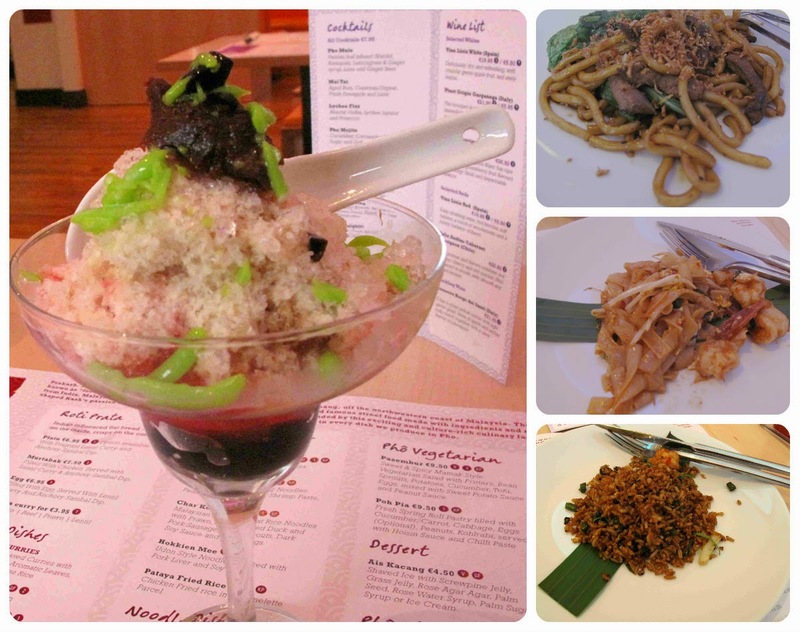 Food Festival to Savour. No doubt Kilkenny hosted many a scrap in its medieval days but a fight of a different kind was in progress on the Parade when we arrived on Saturday. 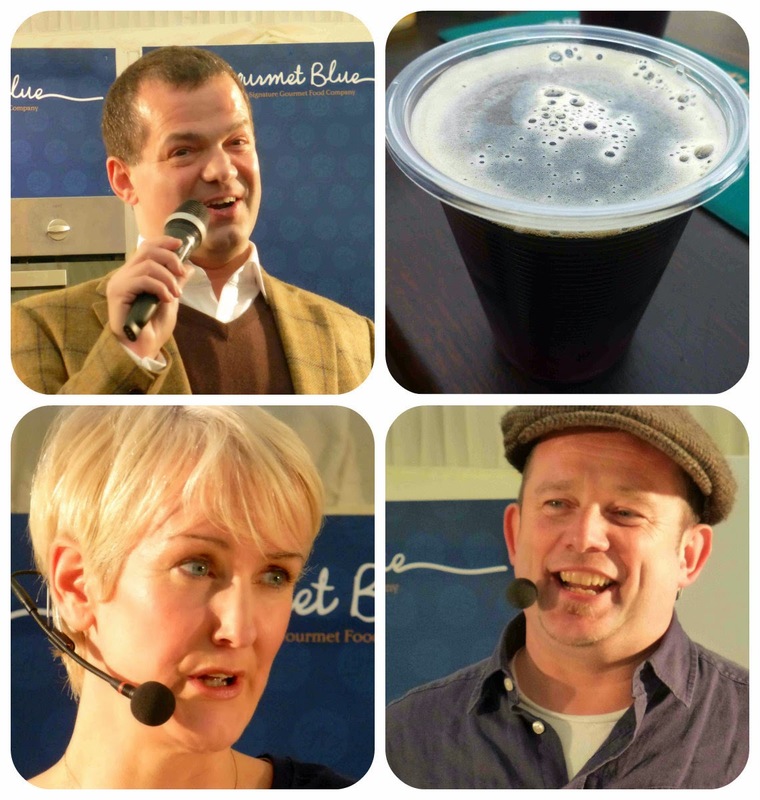 Beer, led by Caroline Hennessy of Eight Degrees Brewing, and Wine, fronted by Colm McCan, award winning sommelier at Ballymaloe, were the protagonists. A few low blows were struck but it was all good tasty fun. No glasses were smashed though there was quite a rush to empty the beer before the wine arrived. Some terrific French wines from Pascal Rossignol's Le Caveau (Colm also works with him) but perhaps the pairing of the joust (eventually declared a draw by Colm, who craftily took the refereeing role as well) was the Porter Brownies and the Eight Degrees Knockmealdown Porter, a personal triumph for Caroline who baked the brownies! One of the beers shown by Caroline was Costelloe's Red Ale and we continued our introduction to that in the tent next door where quite a few craft brewers were showing. Joe McNamee was our guide here and we ended up at the White Gypsy stand, sampling their Fresh Hopped Ale and the more serious Dunkel Black Lager. Joe McNamee, Catherine Cleary and John Healy. Now another “Battle” loomed and McNamee would be humourously prominent here. The question posed at the Main Demo tent was: Can the Critics Cook? McNamee was one of the critics and Catherine Cleary the other. They each got five ingredients and were able to select various bits and pieces from a well stocked table to help them come up with a cooked plateful. John Healy, of TV’s The Restaurant, acted as compere and sometimes as agent provocateur but failed to rattle either of the two cool customers at the cooking stations. An entertaining hour ended with four judges mounting the platform and sampling the two finished dishes. The verdict? Yes, these critics can cook. Well done Joe and Catherine. Time too to get around and see some of the many stalls lined up on the Parade, even time for a short stroll in the castle grounds. Then it was back to base - the lovely Rosquil House on the Castlecomer Road - and a break before heading out later on to a terrific meal at a packed Zuni in the town centre. Great finish to a lovely day! This ruby red gem is 90% Sangiovese with intense aromas. Easy drinking and Very Highly Recommended. Fruity for sure but very well balanced indeed, excellent matching acidity. 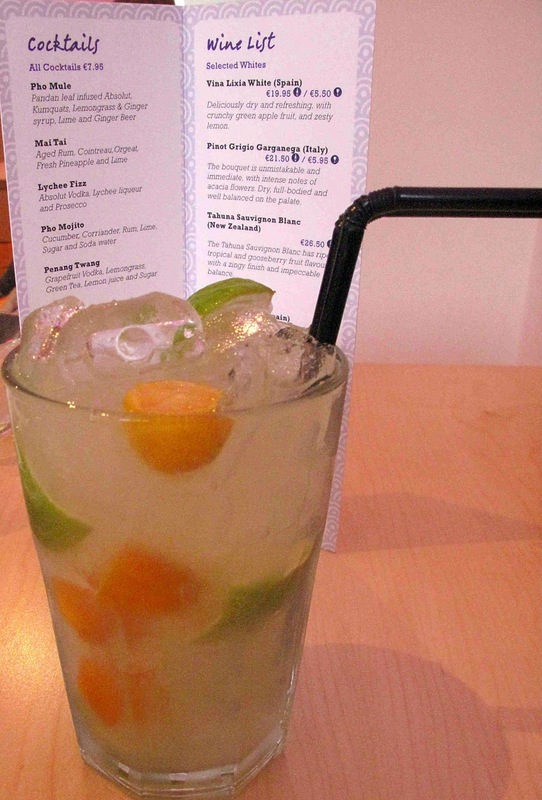 Sip it on its own or with food (stews, pastas, poultry and fred meats are all recommended). A very generous wine, elegant and palate friendly with a long finish. This is a highly rated wine, made in Amarone style from partially dried grapes and has spent 12 months in French and US oak. Darkly coloured it has very inviting fruit aromas. No shortage of fruit on the palate, some spice too; rich, with good depth of flavour, and quite intense; it is full bodied, very well balanced and dry to extra dry; tannins are refined and it has a long finish. Very Highly Recommended. You immediately notice the healthy sheen on this ruby coloured wine and the nose has pretty simple direct fruit aromas. Medium bodied with lovely fruit flavours, soft and juicy and tannins have a slight grip. This is a really well balanced wine with a long dry finish. Highly Recommended. Stellar, in the Western Cape. 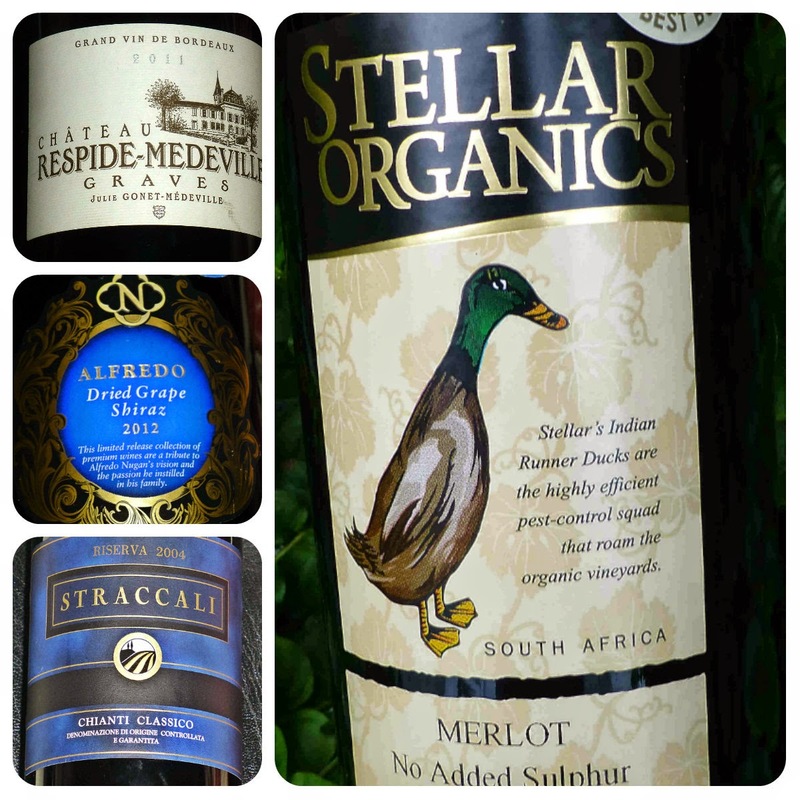 produce organic fair-trade wines with no added sulphites, vegan friendly too. The Indian Rubber ducks, featured on the front label, form “a highly efficient pest-control squad”. Pairing recommendations: pasta, lamb, beef. Chateau Respide Medeville 2011, (Graves, France), 13.5%, €15.30 in Graves. According to Hugh Johnson, this is one of the better producers in Graves for both red and white. The blend here is Cabernet Sauvignon (60%) and Merlot, all hand-picked. A surprising nose here, hints of spice and vanilla, even traces of anise, and that lively red fruit is also prominent on the palate. It is quite complex with great depth of flavour and a long dry finish. Glad I bought more than one of these last June while visiting the local Maison des Vins. Not sure you can get this in Ireland but Very Highly Recommended if you do come across it. I could have been anywhere in France, the trees, their autumn colours highlighted by illuminated by the streetlights, swaying gently in the breeze, distorted reflections in the river, couples walking arm in arm on the pavement, good food on the table inside. But no, I wasn’t eating in a bistro alongside the Midi-Canal. And not in a restaurant by the River Vienne in Chinon. No, I was happily ensconced at a table in Cork’s delightful Club Brasserie. And that food? Well, let me tell you. French words and phrases abound throughout the regular menu: Toulouse sausage, Mushroom a la crème, Duck confit, fondue, béarnaise and more. 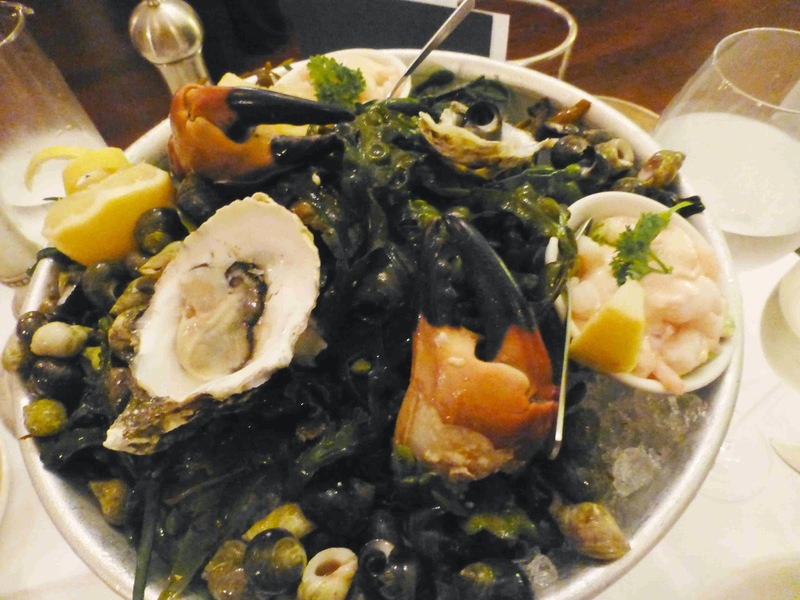 And yes, the Gallic influence extends to the cooking, deliberately delightfully so, but most of the produce is local, suppliers include O’Connell’s (fish), Shellfish del a Mar, O’Flynn’s, Bresnan’s, and O’Connell’s (beef). Having studied the menu pretty well, we had a look at the specials board and took no time at all to make up our minds. Indeed, we agreed on the first two courses. Doesn't always happen. Having made the choices, we also agreed on the wine. The Hugel name is good and this Alsace producer didn't let us down with a lovely refreshing Pinot Blanc (Cuvée les Amours), very agreeable and dry, and it was to go very well with the fish on the main course. I think you can often judge a restaurant by the small things, even if you drop in for no more than a cup of coffee. Let’s take the mashed potato last evening. 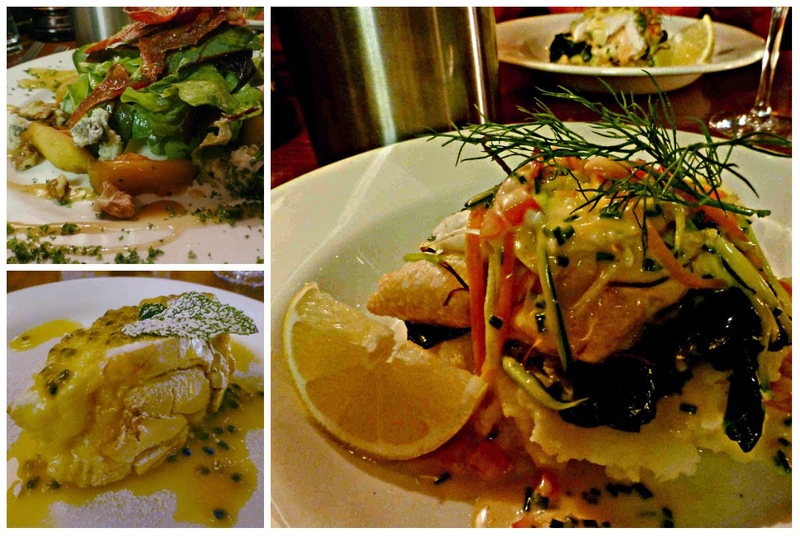 It was impeccable, a splendid base for the layers on top: spinach, salmon and plaice, vegetables, all perfectly cooked. Unpretentious maybe but top class too. The full description was Baked plaice stuffed with salmon, with julienne of vegetables, potato gratin, lemon and chive beurre blanc, all for €18.50. We had also been very satisfied with the starter, a well balanced mix of flavours and textures, with the cheese outstanding in the mix: Roasted Pear and Pancetta Salad with Cashel Blue cheese and a honey dressing (8.50). Not mentioned was a good scattering of toasted walnuts. Just one dessert (two spoons!) and that was light and delightful, a meringue roulade lemon curd and passion fruit seeds. A little bit different and a good finish to a fine meal served with a smile and a chat. You never know what you'll come across when buying at the local farmers markets. That is as true in Saturday's Coal Quay Market as anywhere else. 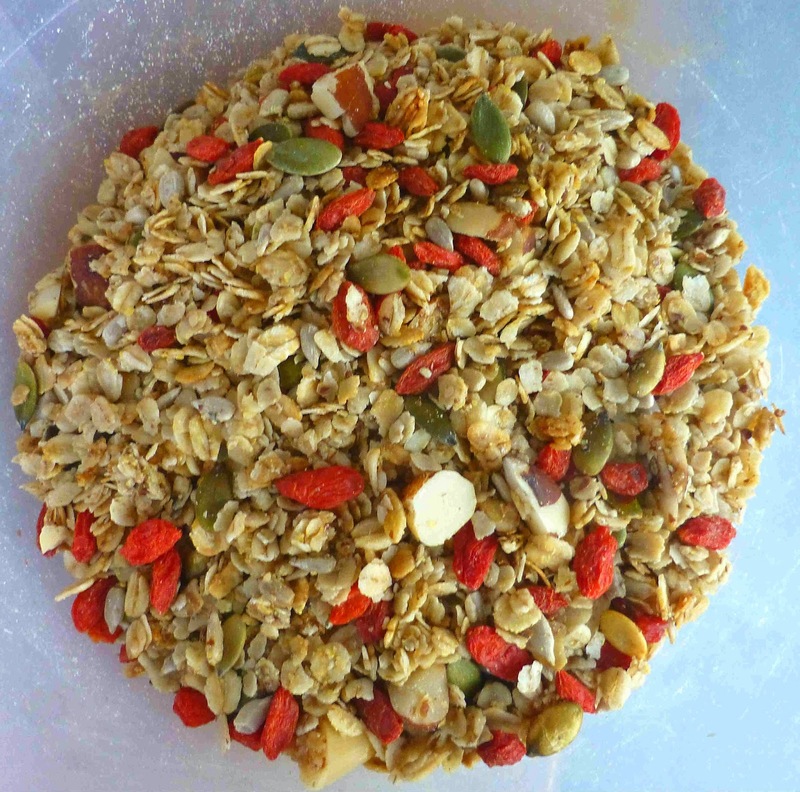 The point was underlined to me once again last Saturday when I bought this granola from Clover Wholefood, a relatively new stall here, run by Raedi Higgins. It is a gorgeous breakfast treat and Taste of the Week. They have lots of good things here. Pay a visit any Saturday morning and follow them on Twitter here. Two questions. What are pork scratchings? And who is Matthew Brownie? Pork Scratchings have long been associated with England. But similar products were made before England had even thought to use the pork skin as a snack. The Chicharrones originated in Mexico, from Spanish influence and are, Matthew tells me, the first signs of fried Pork Rind that we know as scratchings today. They come under a variety of names including Cracklings (US), Pork Crackle (Australia, New Zealand), Chicharrones (Latin America), Grattons (France) and Scrunchions (Canada). Matthew Brownie has been a professional chef for over 20 years. Originally from New Zealand, he admits he “has conceded” to Skibbereen where he lives with his wife and two children. A roundabout route took Matthew to Dublin in 2008 where he continued to manage kitchens, consult in hospitality, create cooking classes and progress in the food arena before moving to West Cork. Here his passion for food drove him in a new food direction, towards product development. Given an opportunity to find a gap in the Irish food market, it was obvious to Matthew that Irish Pork Scratchings would be his product. The opportunity came when he decided to go back to college in 2011 to study Advanced Culinary Arts at Cork Institute of Technology where he achieved a distinction in BA Culinary Arts. 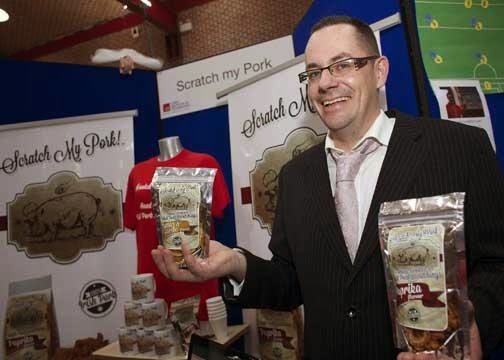 Achieving top marks for Scratch my Pork, he was asked to compete in the Cork County and City Enterprise Boards CIT Prize for Innovation and won the best business Plan award. “I am delighted for what I have achieved, and the product is already in over 100 outlets including Retail, Licenced and Off Licenced premises." He is also the Chef food writer for the Southern Star. In April this year, Matthew formed The No Nonsense Food Company to launch Scratch My Pork snacks. 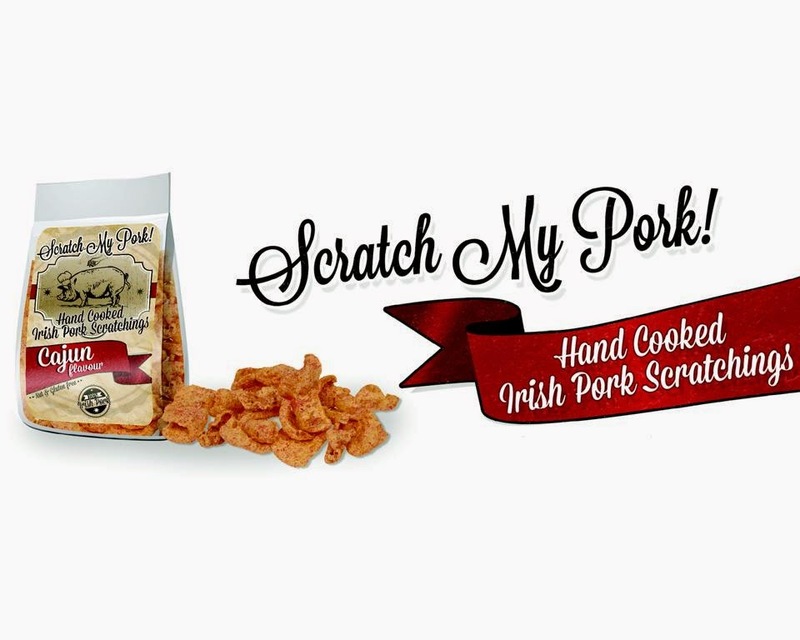 “This is a quality hand cooked natural meat savoury snack with unique dry rub marinades resulting in a crunchy, crispy, flavoursome, good value and nutritious snack, produced in a dedicated nut and gluten free facility with my own catchy slogan and branding called ‘Scratch my Pork’.” He has released two flavours to begin with, Smokey Bacon & Cajun, with a traditional salted flavour to follow. So now you know what Pork Scratchings are, why not go out and try some. Looks like Supervalu is a good place to start. Then why not try your local pub? I’m told they are very popular in Ma Murphy’s in Bantry. And of course if you want anything in the food or drink line in Cork, then head to Bradley’s in North Main Street! If you are a retailer, contact Matthew himself or his distributors C & R in Little Island. Keep an eye on Matthew’s website here and also follow him on his Facebook page. To find out more about Pork Rinds in general, why not do a YouTube search. Here’s one to start you off https://www.youtube.com/watch?v=YfkQun3jz8o. Come Savour The Night of 1000 Feasts in Kilkenny! L'Atitude 51. More Than A Wine Bar! Out of the Blue. Where the best fish go. Irish Tea Rooms Worth Noting! The Dingle Taste Trail. Biggest in the land?